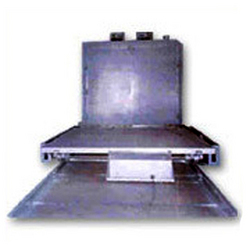 Pioneers in the industry, we offer varnish baking ovens from India. Over the years, we have gained immense credibility across different domestic and international markets in offering a wide assortment of Varnish Baking Ovens. The offered ovens are precisely manufactured using optimum quality components and advanced technology. At par with different requirements of our copious clients, we provide these ovens in numerous sizes and specifications. Our offered ovens are gained exceptional value amongst our clients for their striking features.